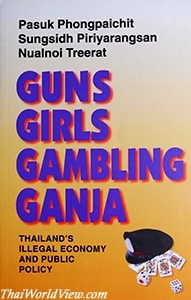 Summary: Gambling, prostitution, drugs, arms trading, oil smuggling, and trafficking in people - these six illegal business are large and getting larger. They distort the economy and victimize people. They are increasingly linked together through networks of protection and organized crime. They help to fund Thailand's corrosive 'money politics' and to sustain corruption in the police. The authors argue that control of the illegal economy, especially through reform of the police, is vital for the development of a modern economy and functioning democracy. Summary: Thailand has changed From backward traditional economics and languid autocracy, the country has very recently joined the East Asian industrial development scene and shown an unsuspected capacity for political innovation at the expense of dictatorship and in favour of more democracy. The authors have produced this pen portrait of the new Thailand just when this ancient kingdom appears to be modernising its politics and economy more successfully than many of its neighbours. The problems Thailand faces are immense, including especially environmental damage, polarity of incomes and the spread of AIDS. 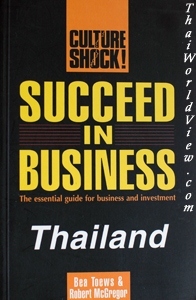 Summary: Succeed in Business: Thailand combines relevant, practical information with the real-life insights and cultural know-how that make the difference between success and failure. Summary: The author helps the readers to bridge the gap when faced with cross-cultural interaction in the office. Summary: Are you considering having your own house in Thailand? A dream house that you can actually afford. 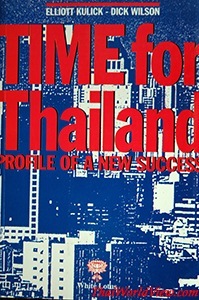 This book contains essential information for anyone contemplating buying or leasing land and building a house in Thailand. It is meticulously researched and draws on expert legal and construction information from Thailand, America, Europe and Australia. Concepts, techniques and instructions are explained in simple, clear, and easy to understand language. It follows the construction of the author's 200m2 house in Ko Phangan, Thailand with over 100 paragraphs, 2D and 3D drawings and 700 English-Thai words and phrases. 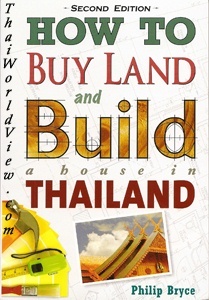 This book is your ultimate resource for "buying" land and building a house in Thailand. ThaiWorldView Economy library contains 5 items. ThaiWorldView library contains 160 items.